This stylish knit is one you’ll wear over and over again. 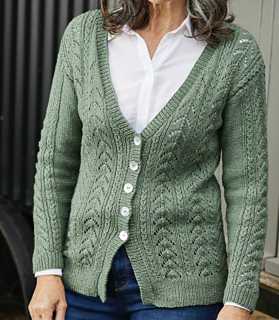 Knitted in Rowan Softyak, it’s amazingly soft and snuggly. 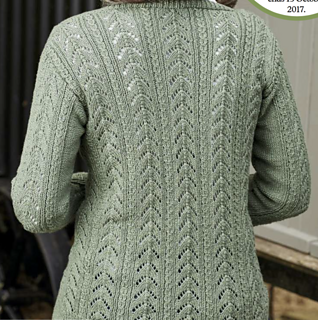 The pretty lace and mock cable pattern doesn’t have any shaping, making it easier to knit. And it comes in a flattering longer length, which is perfect for wearing with trousers.